Three quarters of the American population literally believe in religious miracles. 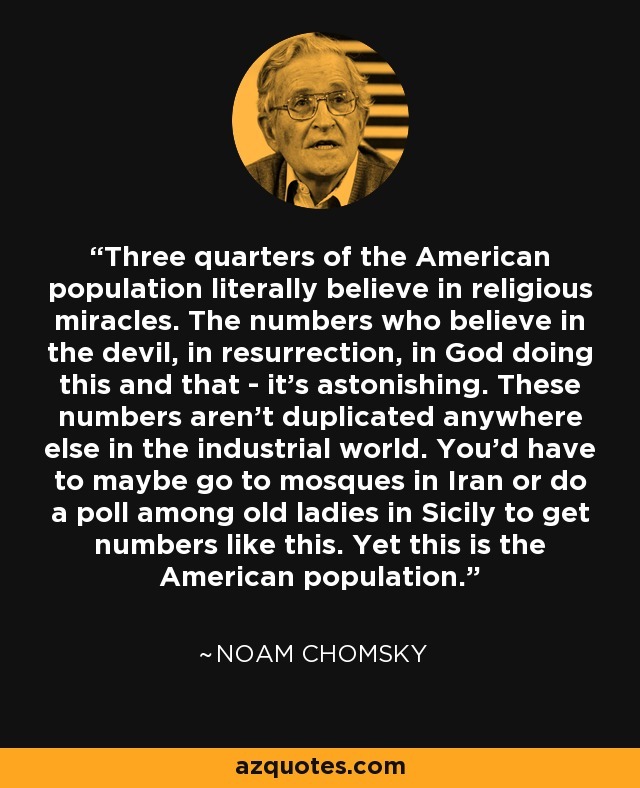 The numbers who believe in the devil, in resurrection, in God doing this and that - it's astonishing. These numbers aren't duplicated anywhere else in the industrial world. You'd have to maybe go to mosques in Iran or do a poll among old ladies in Sicily to get numbers like this. Yet this is the American population.